Between 2012 and 2022, the Bureau of Labor Statistics predicts jobs in marketing and public relations will increase by 12 percent largely due to careers in social media. This means that Digital Media Managers will only become more prevalent across a variety of industries including those not traditionally known for their technology savvy. 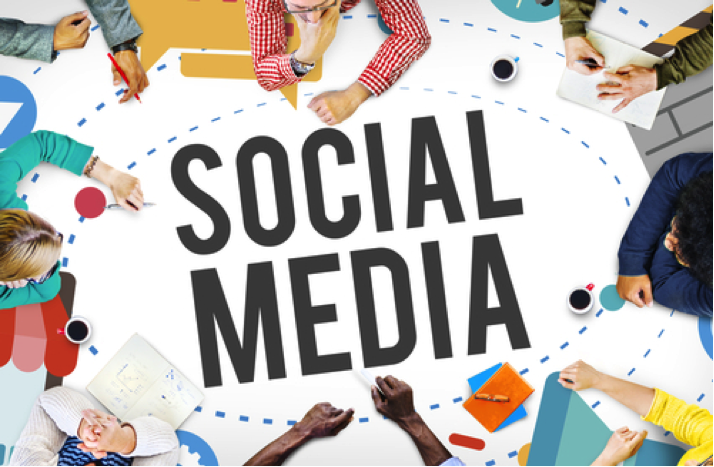 It seems safe to say that at this point, most company leaders and nonprofit managers are at least broadly familiar with Facebook, Twitter, and even Instagram. Let’s be honest, if they’ve hired you to be a part of their team they obviously understand the important role social plays in their business in 2016. But how do you convince your boss to let you try something that’s maybe outside of their comfort zone, like setting up a Snapchat or taking the plunge into Periscope? When it comes to convincing your colleagues that a new social media platform is worth investing time and (likely) money into, your strategy may need to be more deliberate than with other pitches. To help give you a leg up, here are four foolproof steps to convincing your boss it’s time to expand your presence on social. Before you embark on your journey for approval, take a step back and evaluate whether or not the platform in question is truly a good fit for your company or organization. While it’s understandable to want to create an account on the hottest new app or social media platform immediately, it’s crucial to take a moment to determine if your efforts will actually provide value for your followers. If your nonprofit’s supporter base is primarily visiting your website via desktop computer, does it really make sense to be creating mobile QR codes? Probably not. But if you’re looking to up engagement of younger audiences then you might be on the right track by seeking them out on Snapchat. Whatever the platform, make sure you’ll be able to harness its power to effectively further your goals or overarching mission. Once you’ve determined that a social media platform is right for you, it’s important to find your unicorns. No, these aren’t literal unicorns, but rather the other companies or organizations within your space that are the shining examples of excellence on the platform you’re looking to join. For example, say over the past year you’ve been working as the digital media specialist at a local art museum. When you were interested in expanding your online presence to Snapchat, you brought your supervisors examples from much larger museums—like LACMA (Los Angeles County Museum of Art) and the Museum of Contemporary Art Chicago—who have become trailblazing users of social media in the contemporary art world. If you’re able to prove that other institutions are successfully using the same tools to add value for their followers, it’s much easier to make the case that they could do the same for you. Before you even craft your first post, it’s important to create realistic expectations about what you hope to achieve. Keep in mind, these shouldn’t be your end-all, be-all goals for success on social media. Give yourself a trial period (typically three- to four-month increments are a good barometer for trying something new) and set very specific, realistic goals for what you’d like to accomplish during that period. Start small and give tangible benchmarks, such as the a number of followers you’d like to attract, the frequency with which you’d like to produce content, or how you’d like to collaborate other users. This allows you to justify testing out the new platform and have easily accessible data to report back to the other members of your team. If your trial period absolutely tanks, don’t be afraid to rethink your strategy. My favorite thing about working in social media is that my job is essentially all about experimentation. If one strategy fails, take a hard look at how you approached your audience and make some changes. Chances are there’s one aspect of what you did that resonated well and is worth delving into further. After a few trial periods if you’re still not seeing traction or engagement, it’s also possible that maybe the platform in question simply isn’t for you. It’s alright to go back to your boss and let them know that your efforts didn’t play out as you’d hoped or planned. Just make sure that when you do, you have some tangible examples of what your efforts and what you think your next (more effective) social media experiment should be.